There are still balloons floating in my living room and a giant suitcase of decorations to put away, clearly I don’t want to admit the show is finished quite yet. Our first ever Tea Party went so well though!!! We were thrilled to meet so many beautifully attired people and we had loads of fun! The event photos and photobooth shots will be posted later this week as well as lots of behind the scenes stuff for those who weren’t in the area. We also raised $100 (thanks to L who kicked in the last $4 to get us to the nice even total) for Toronto Wildlife Centre so I’ll post the receipt from them as soon as I get it! Congratz ~ I’m glad it went well! Wish I could have attended though! It would have been fun. Thank you! It was lots of fun! Hopefully the next one will be even better! 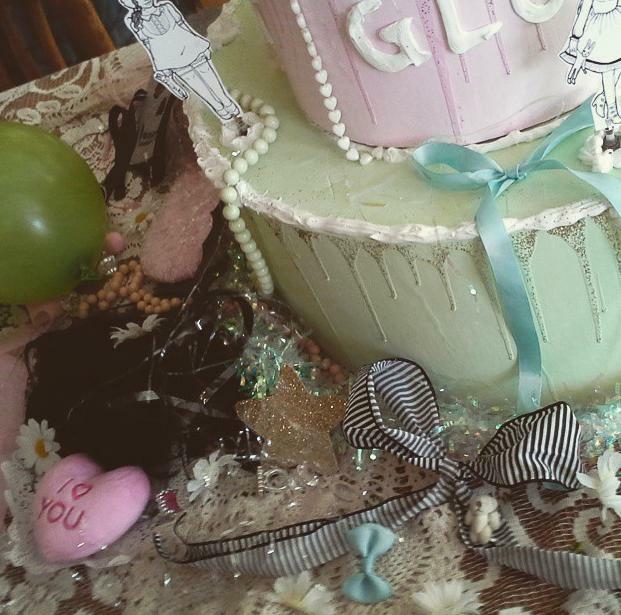 ← Gloomth Tea Party This Weekend!!! !